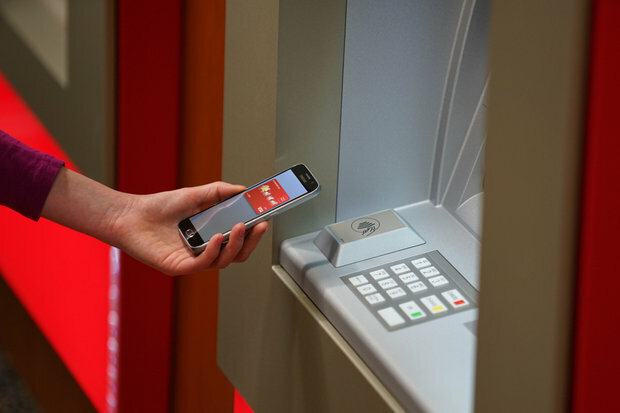 Wells Fargo today announced that NFC functionality is now available at more than 5,000 of its ATMs across the United States. The technology enables customers to initiate an ATM transaction by holding their smartphone or wearable device with mobile payment functionality near an NFC-enabled ATM terminal and inputting their PIN. Supported digital wallets include Apple Pay, Android Pay, Samsung Pay, and the bank’s own Wells Fargo Wallet for Android. Customers that have added their Wells Fargo debit card to Apple Pay, for example, can simply hold their iPhone near the ATM, enter their PIN, and complete a transaction, with no physical plastic card required. Wells Fargo said it plans to upgrade the rest of the company’s more than 13,000 ATMs with NFC by 2019. NFC-enabled terminals are marked with the universal contactless card symbol. Earlier this year, Wells Fargo launched a separate one-time access code feature that lets customers authenticate at an ATM by entering an 8-digit code generated from the Wells Fargo app, along with their PIN, for card-free access. Bank of America also began rolling out Apple Pay support for withdrawing cash from hundreds of its ATMs last year.